Professor Bruce McKenzie has been appointed Acting Vice-Chancellor of Lincoln University, taking over from Professor James McWha in January. 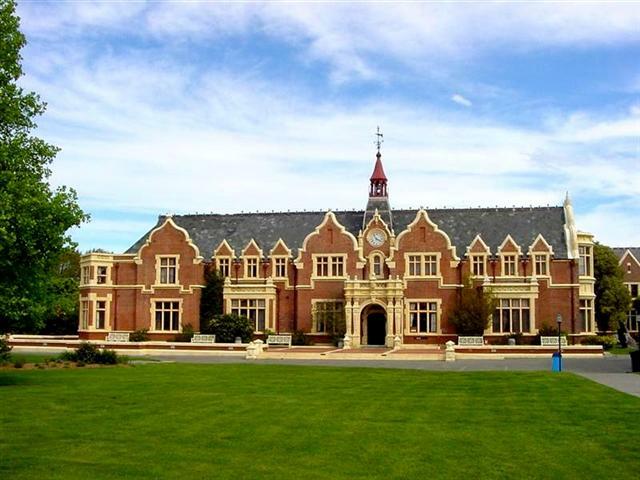 The appointment of Professor McKenzie, now Lincoln’s Deputy Vice-Chancellor, follows the Government’s initiative to investigate an alternative structural arrangement for the university, which has resulted in partnership discussions with the University of Canterbury. Negotiations continue and both parties will provide a proposal to Education Minister Chris Hipkins in December. Chancellor Steve Smith said Professor McKenzie will provide solid, stable leadership to Lincoln while its future is determined. “Bruce is well known to Lincoln and has a proven track record of impeccable leadership after working at the university for more than 30 years,” he said. Professor McKenzie’s association with the university began in the early 1980s, when he attended Lincoln as a postgraduate student, completing a postgraduate diploma in agricultural science and then a PhD in agronomy and crop science. For 22 years he was an Associate Professor of Agronomy, responsible for teaching a range of classes in plant science, statistics and annual crop production. In 2008, he became Dean of the Faculty of Agriculture and Life Sciences, which involved managing 150 staff members in four departments. He worked in this role for more than seven years before becoming the university’s Chief Academic Officer, overseeing Lincoln’s academic faculties, as well as the Library, Teaching and Learning department, University Studies and English Language, and the Research Management Office. He was appointed Deputy Vice-Chancellor earlier this year. Outgoing Vice-Chancellor Professor McWha is expected to take on the role of Provost, which will involve offering advice, guidance and support to the university. Professor McKenzie will take over as Acting Vice-Chancellor from 1 January 2019 and remain in the position until 30 June 2020.